It's here! 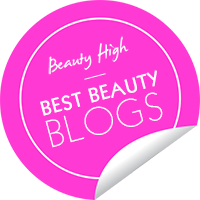 Ulta's biggest event of the year is well underway so I wanted to share my loot and tell you about the beauty savings from all your favorite brands — Benefit, St. Tropez, Tarte, Urban Decay — that shouldn't be missed. There are daily promotions that you can scroll through to plan ahead, up to 50% off along with online exclusive buys. We are halfway through so seize the steals! 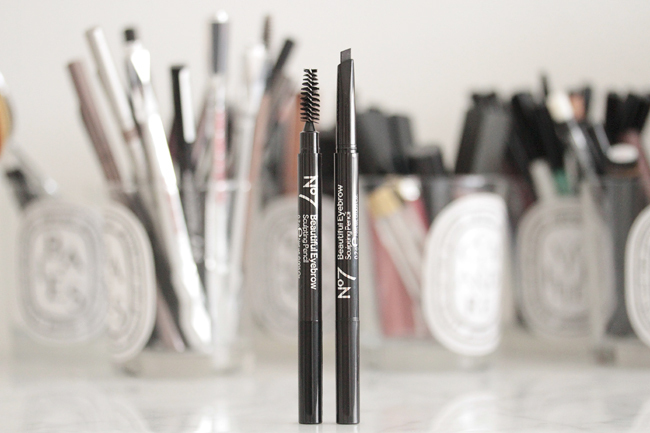 My favorite every day wear No7 Beautiful Eyebrow Sculptor Pencil is on sale! It's already a steal at $9.99 so stock up while Ulta is offering the buy 1 get 1 at 40% off deal. I keep three back-ups on hand because it's harder and harder to find it in stores lately. My eyebrow tutorial video includes a review of this pencil and provides thorough instructions on how to achieve a straight full brow, but in short I love this pencil because it looks so natural yet lasts all day. My brow hairs are quite thin and sparse which makes it a challenge to find a pencil that's not too waxy and not too dark. This is the very best budget find I've ever stumbled across! 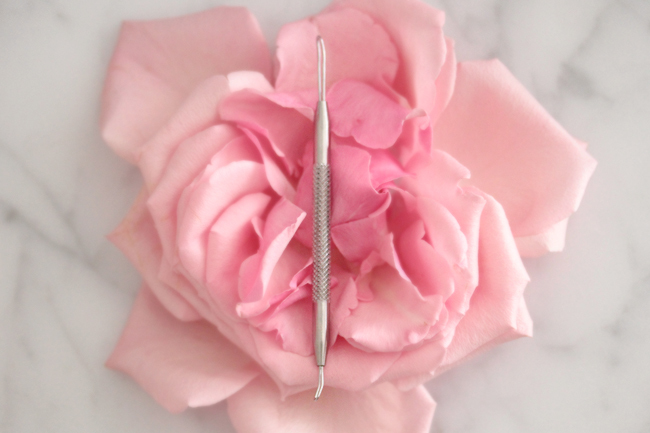 The Japonesque Clear Skin Tool is not necessarily a cool or trendy gadget, but this is an essential for those who suffer from congestion. Plus this is on promo too! Buy 1 get 1 at 50% off so just add two qualifying items to your cart. I've had a lot more blackheads lately due to constantly switching up my skin care, all the dehydrated plane air and traveling and gluttonous food. Stress and hormones haven't helped either. 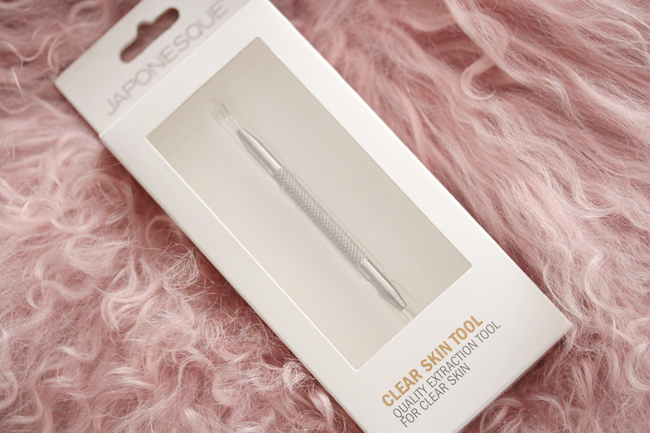 I'll be using this Japonesque tool to help maintain my skin's condition between facial treatments and peels. 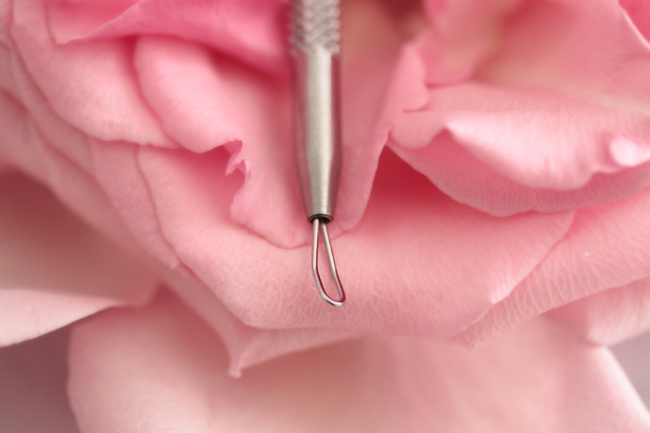 Use slow even pressure and glide the tool across the skin and try to be gentle even when you come across a stubborn spot. Give it another try the next day! Clearing out any oil deposits and clogged pores will help your foundation look airbrushed because your complexion will be smoother. 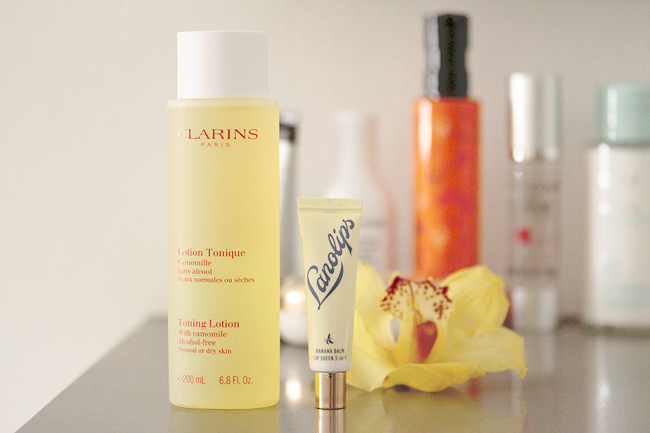 This Clarins Toning Lotion is the very one that I purchased for my friend Dayna, which you may have seen in the Portland travel vlog that I uploaded recently. She has normal to dry skin and struggles with dry patches which is why I thought this would be an excellent formula for her to try. It's simple but effective. I loved the soothing chamomile fragrance so much I decided to grab a bottle for myself. It leaves my skin plump and hydrated and comfortable. 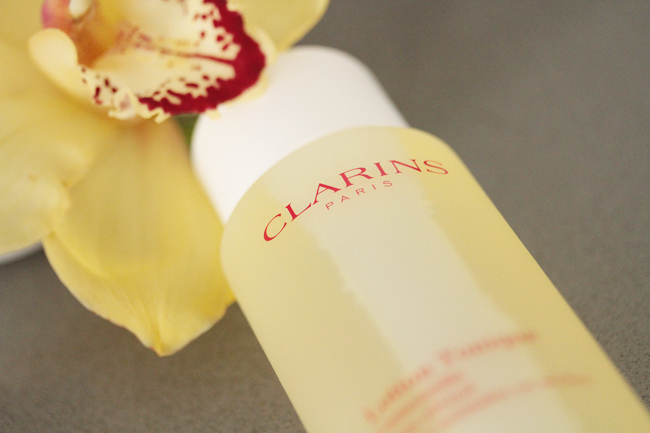 There are no clarifying or astringent ingredients which makes it ideal for use after peels and treatments! 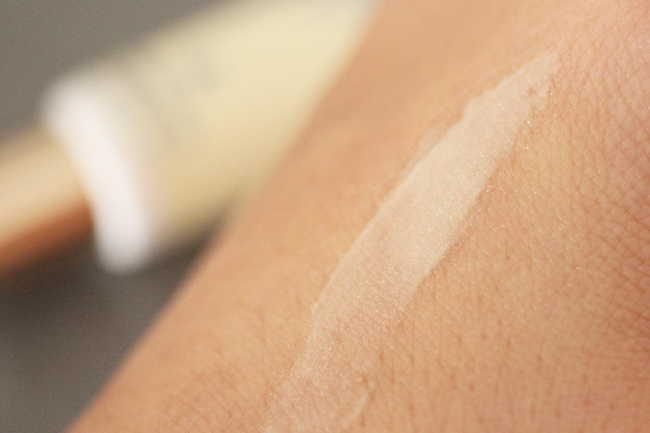 My friend Sabrina of The Beauty Look Book gave me the Nano Lips 101 Strawberry Multi-Use Ointment and I fell head over heels for the fruity fragrance! It is super dense so it works on cuticles and dry patches, but I love it as a lip salve since it makes my lips look fuller. 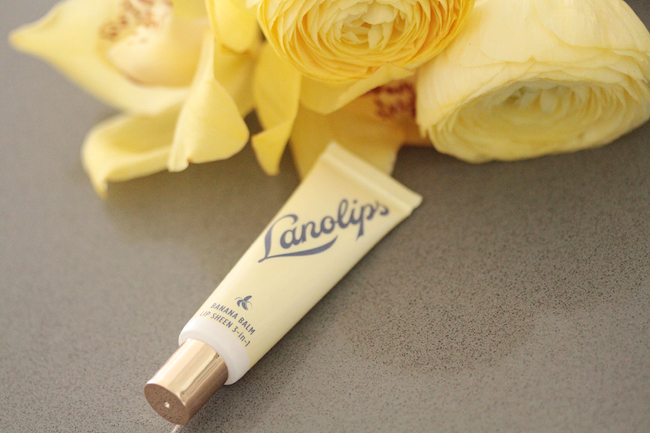 I figured I would love the Banana Balm 3-in-1 Lip Sheen as well and this wax-free formula does not disappoint. 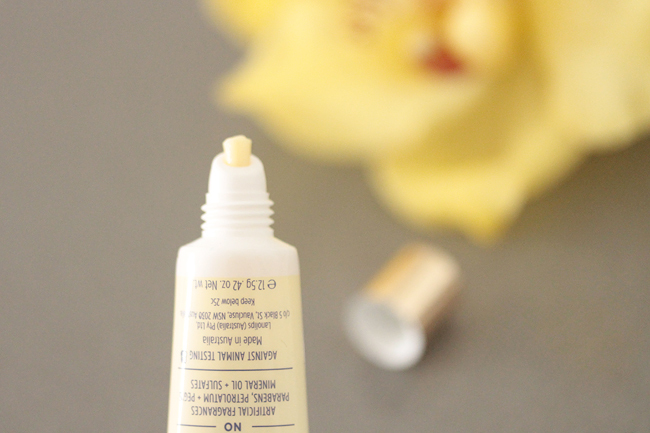 The ointment is a thicker plush gel formula and has more lasting power, but the Banana lip balm is creamier and fluffier and not as sticky. There's a bit of golden and coral pearl in the mix in case you're sensitive to shimmery bits. Ultimately I like bananas, but I love strawberries! 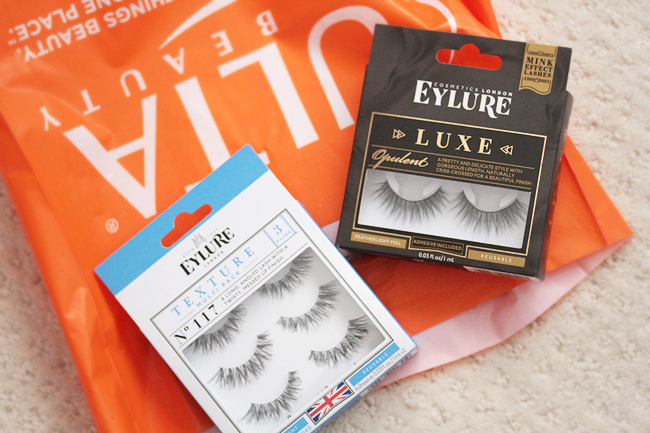 I was browsing the false lash aisle at Ulta and the Eylure Opulent Faux Mink Lashes caught my eye because I haven't tried any faux mink lash fibers before. The tips look very soft and natural. These are fairly priced at $9.99 per pair, but I wish shorter styles were available. Based on the flexibility and width of the band, I estimate that I will be able to get 5 wears from them. I never apply mascara to real mink lash fibers to maintain a sleek and polished finished eye look so the same rule should apply to these lashes. I am excited to try these on! Keep an eye out for my March Favorites video. Eylure's Texture No. 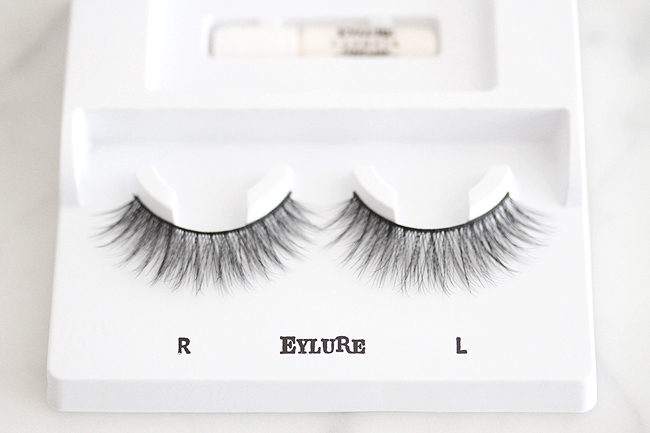 117 False Lashes were my first foray into this acclaimed British brand, and now I am dedicated to this style for daily wear. It's a longer angled style that enhances the eyes without looking too dramatic in real life because they are not voluminous or dense. The 117s are extremely lightweight and easy to manipulate, a much better shape for my round eyes than Ardell's Demi Wispies which are too short in the front. I can clean and re-wear them an average of 4 times even when I apply mascara to them, which makes them an exceptional bargain. 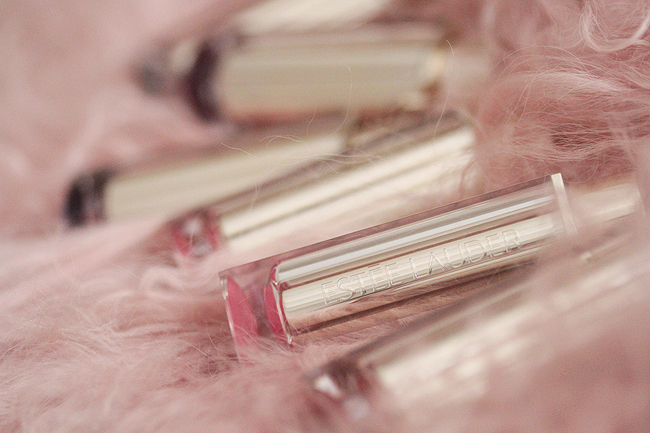 Estée Lauder launched their Pure Color Love Lipsticks this month, some incredibly interesting and spunky like Moon Rock. Ulta is the only retailer other than the EL website that is selling these, so stop by a store to see all thirty shades. 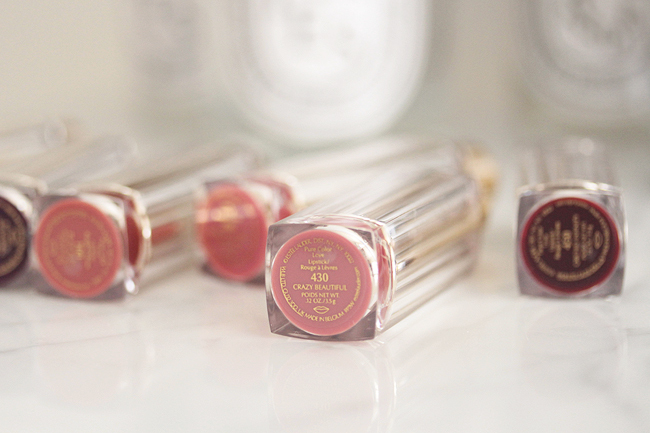 The cremes, chromes, and shimmers are more like balmy types, while the mattes are rich and long-lasting. 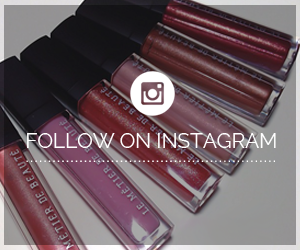 I'll show some live swatches if any of you are curious! 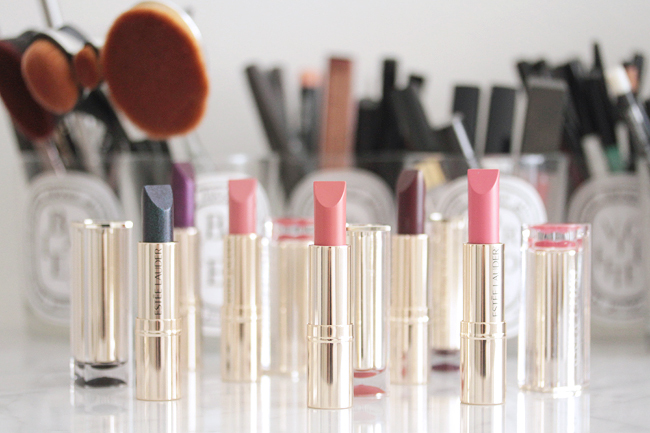 My favorites are Blasé Buff, Proven Innocent, and Crazy Beautiful (which is closest to my natural lip color). The angular shape of the bullet may not be to everyone's taste, but I find it versatile and easy to use. Since I rarely wear lip liner, I just use the sharp sides to carve out my cupid's bow.